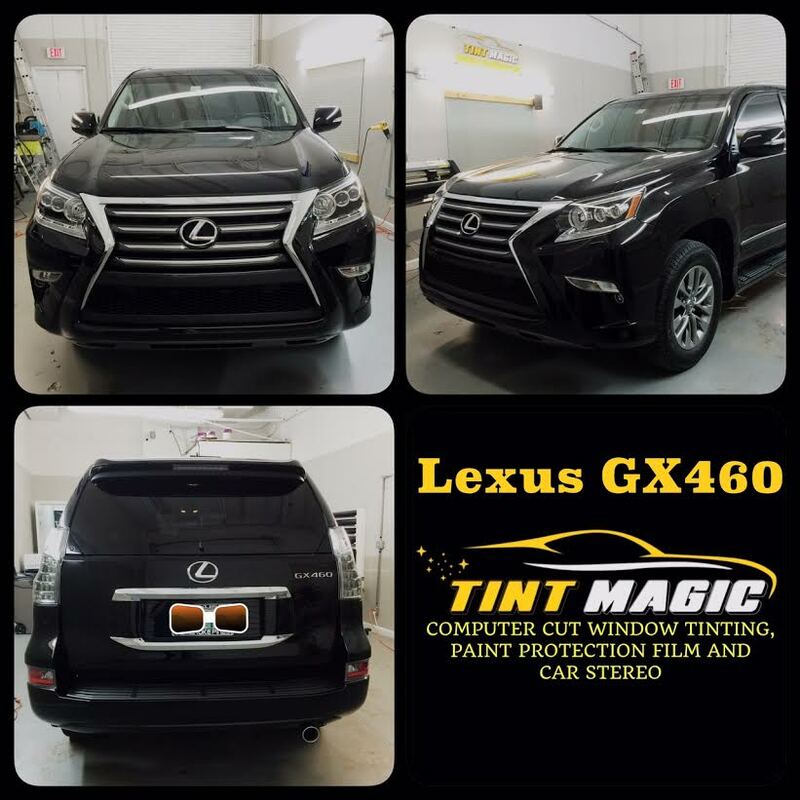 Tint Magic Window Tinting Coral Springs have applied 25% SunTek window tint CXP (nano-carbon film) for the best heat rejection. Call us for a free quote! (954) 840-7883. One of the few truck-based premium SUVs available, the Lexus GX460 boasts true off-road cred—along with Lexus levels of luxury and refinement. With four-wheel drive and a locking center differential, it inspires off-road confidence, but numb steering and a bloated curb weight yield clumsy on-road responses. A lavish three-row cabin coddles seven occupants in comfort. Its 301-hp 4.6-liter V-8 is barely adequate and guzzles gas; that’s why most of its rivals are lighter, more-efficient crossovers. The GX is the smaller of Lexus’s two proper four-wheel-drive SUVs, and like big-brother LX570, it remains one of the few luxury rigs out there with a low-range transfer case and rugged off-roading hardware. As for carry over mechanicals, the full-time four-wheel-drive system still utilizes a lockable, torque-sensing Torsen limited-slip center differential, and paired with the GX’s prodigious ground clearance makes for a trail-friendly conveyance. The 301-hp, 4.6-liter V-8, six-speed automatic transmission, and meager fuel economy (15 mpg in the city and 20 on the highway) also return for 2014. We suspect the latest GX will drive much like its pre-refresh self, which we most recently tested against an Acura MDX, an Audi Q7, a BMW X5, and a Land Rover LR4 in comparison test.